The Academy commenced operation in October 1982 in a small leased shed in Paisley Drive. 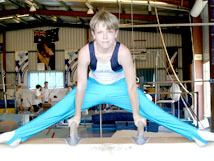 The Academy was one of the first private Gymnastics schools in operation in Queensland. Initially the program commenced as a Girls Gymnastics Program with Louise Cross as the Coach and her father Ray in charge of equipment & facility supply and maintenance and eventually Ray took on a role as the Girls Teams Vault coach. Mother Paola was also heavily involved working as the administrator and office secretary. The program grew rapidly and within a 6 month period a move to a larger leased building in Paisley Drive occurred. 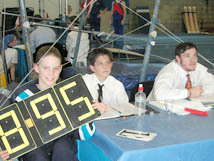 By this time a boys program was introduced and also trampolining sports. With the increase in membership additional coaches were employed and the program continued to grow and achieve many honours at the key gymnastic events in this period including producing our first National WAG Champions. In 1987 Louise Cross was successful in her application for a loan to build the current facility that we now work in. Being a private business, the Academy receives no Government Grants. All costs for building loan, leases, rentals, equipment, staff wages, maintaining the facility etc. come from the gymnast’s fees. The Lawnton Academy has had a long history of success, producing many Regional, State, National and International champions & representatives. Our extensive ‘Honour Boards’ are testament to this. A snapshot of the Academy’s competitive history includes a 9 year run of being the best overall Club in Qld for Girls and a 5 year run for the Boys at Qld Club Championships. The Academy is also a 5 time Champion Club at the MAG National Club Championships. LISA SKINNER – Atlanta 1996, Sydney 2000, Athens 2004. DANIELLE KELLY – Athens 2004. DAMIAN ISTRIA – Sydney 2000. SAM SIMPSON – Beijing 2008. These athletes, along with other Lawnton Academy Internationals – Michael Donnet, Naomi Russell, Chantelle Turnbull, Mitchell Jones & Michael Mercieca – were some of Australia’s highest ranked international athletes. Our current International athletes, Rianna Mizzen and Mitchell Morgans continue to produce wonderful achievements and results in the International arena of which the Academy is most proud. In 1991 the Academy was given the honour of being named the first 'Satellite Club' for the Q.G.A.I. W.A.G. High Performance Program. In 1993 the Academy's Boy's Program was recognised and we became a Support Club for the MAG High Performance Program. In March of '99 at the 50th Anniversary of QGA Inc, the Academy was honoured by being named QGA and AGF Club of the Year for 1998. The Lawnton Academy is dedicated to our motto “Excellence Through Effort”, and we believe that every child has the ability to thrive and develop in many ways through the sport of gymnastics here at the Lawnton Academy, whether this be in the competitive or recreational programs we offer. We diligently work to achieve our mission and goals and also provide a safe and productive facility to assist all of our gymnasts to enjoy their gymnastics experience. We look forward to many more wonderful years of gymnastics to add to the Academy’s long years of service to the Pine Rivers community and the sport of Gymnastics in Queensland. The Lawnton Academy provides a quality service to the community through the implementation of challenging, safe & enjoyable programs that inspire all participants of all levels & abilities to reach their full potential in the sport of Artistic Gymnastics. To provide a program that caters for the whole range of artistic gymnastic performance for males & females from Tiny Twister-Gym and Recreational programs to competitive, State, National and International performance. To provide a staff of dedicated professionals with great expertise & enthusiasm to assist all gymnasts in their care to reach their full potential in their chosen program at the Academy. To create an environment in the Academy which will develop a child's physical, social, emotional and intellectual abilities and therefore assist to lay the foundation for learning about life & self. To provide a correct foundation in the learning of gymnastic skills in every Academy program available. 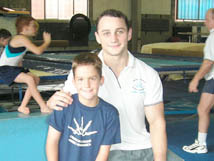 To produce competitive gymnasts with very high standards in their chosen sport. To conduct Academy activities in such a way as to provide an environment which, so far as practicable, protects the health, safety and welfare of ALL persons at the Academy and actively encourages safe working practices. To foster & encourage gymnasts to become future Coaches, Judges & Administrators in the sport by providing a gym leader & apprenticeship program of the highest standard. To provide an administration system that focuses on excellence in customer service, communication and good management practices. To provide gymnasts and their parents with a challenge and also a lot of enjoyment by participating in the Academy's extra activities. The Academy program (directed by the Principal), has in place both full-time salaried staff and casual staff whose dedication & coaching ability has been instrumental in the Academy being recognised as providing one of the most successful gymnastics programs in Qld and Australia. The Coaching Operation area is managed by three (3) Head Coaches – one for the Boys Program and one Girls Program & Tiny Twister Head Coach. These persons are supported by a large group of Recreational & Competitive program coaches. Accredited Assistant Coaches & Gym Leaders are also in training and under the supervision of our Head Coaches. The Support & Resources operations employs several administration staff working in the area’s of Customer service, Facility Management, Event Management, Workplace Health & Safety, Maintenance, Marketing & Finance. All Academy Coaching Staff are N.C.A.S. (National Coaching Accreditation Scheme) accredited and hold First Aid qualifications. Most were former high-level competitors in the sport. The National Body insists on yearly updating courses so all its coaches are well versed in their field. Some of our staff also hold Judging Qualifications. All persons involved in instruction, management or coaching of any Academy student must have undergone a “Working with Children Check” and have attended a “Safe – Active – Kids – Child Protection workshop” as required by the Commission for Children & Young People Act 2000 (Qld). Resumes are located on the notice board in the front office. 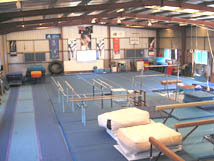 Lawnton Academy of Artistic Gymnastics 13 Walter Cres, Lawnton, Q 4501. Office Hours:- Mon – Fri 10.00am – 6.00pm. Sat 8.30am – 12.30pm.